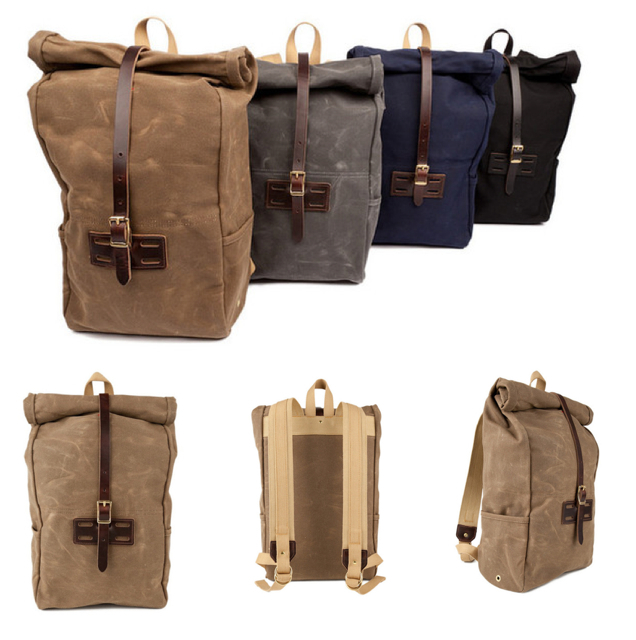 Any backpack needs to be functional, durable, comfortable and also wear well. The Archival Roll Top Bag meets all these needs and combines them with only the best sourced waxed fabrics, leather and brass from the Oregon region. This roomy rucksack has been stripped down to make extra space for keeping all your belongings safe and features a roll-top closure by a stout leather strap and solid brass buckle. The front panel also includes a Horween leather lash point, that allows to you to attach anything from a bike light to a camping axe or sleeping bag. The edges of this bag have been reinforced and are bound in waxed cotton tape to comfortably carry whatever load. This bag is catered not only to cyclists and motorists, but anyone who has to face the elements regularly.